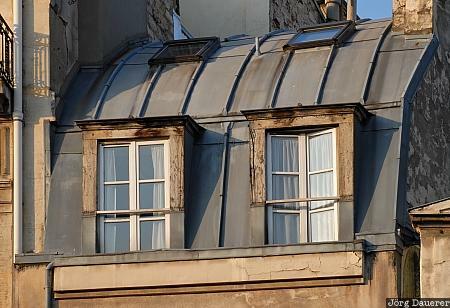 A typical roof in Paris with windows and oriels at Rue de Rivoli in the central Marais Quarter, Ile De France, France. This photo was taken in the morning of a sunny day in June of 2008. This photo was taken with a digital camera.